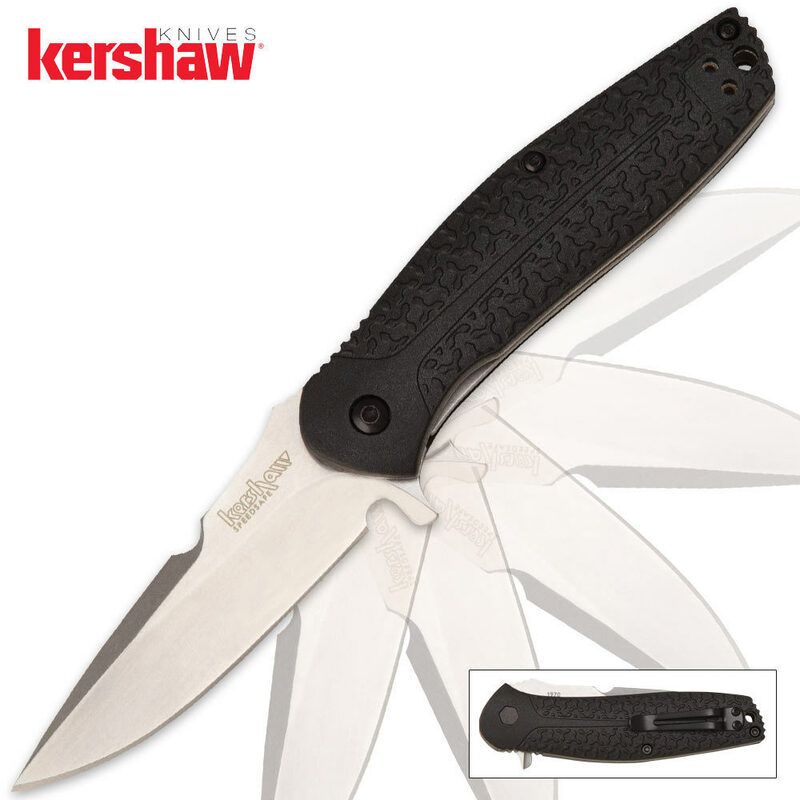 Kershaw Burst Assisted Opening Pocket Knife | BUDK.com - Knives & Swords At The Lowest Prices! The aggressive, spiked look of Kershaw's new Burst series is sure to draw the eye and plenty of positive comments. You'll appreciate its SpeedSafe assisted opening, which is easily accessed with a convenient flipper. Amazing grip this knife has not slipped out of my hand once, and the edge on it right out of the box I'm still using. I have owned this blade for around a month and I use it daily for several applications and haven't sharpened it once. you can't due much better for thirty bucks. Rock solid, and sharp as a 4 blade razor. Opens with one hand and it is fasters than a dude going out your wife window on a Saturday night.